The Senate’s solution for a new legislative ethics rule that’s not working as intended is a wholesale repeal of the change, undoing provisions that more clearly defined a legislator’s potential conflict of interest. Senate Bill 89 was introduced this week by the Senate Rules Committee, chaired by Sen. John Coghill, to address the unintended consequences of a piece of last session’s House Bill 44 that intended to require legislators to declare potential conflicts of interest during the course of official legislative action. But thanks to an incredibly expansive definition of what constituted “official action,” it’s left legislators in a place where they feel they can’t have meetings with constituents, appointments with personal doctors or even post documents to the Legislature’s website on any matters they may have a potential conflict of interest. During committees and floor sessions, legislators are able to declare those conflicts but there’s no similar avenue for the required declaration outside of those settings, which is a root of the problem. The law also expanded the definition of what constitutes a financial conflict of interest, adding a legislator’s immediate family and setting the threshold of income that could constitute a conflict at $10,000 in the preceding 12 months. The proposal by the Senate would undo all of that. Coghill framed the issue not only as an impediment to the legislative process but as a matter of free speech. He argued that there are still real conflicts of interest in the Legislature that the public should know about, but that the requirement under House Bill 44 was for them to declare them in committee or on the floor so the public was properly informed before going through the regular process. 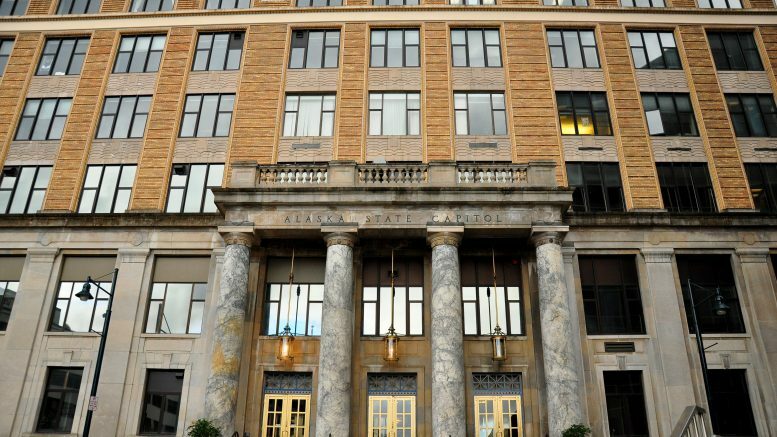 After the release of the new bill, Grenn told the Juneau Empire that he thought legislators were taking the easy way out. The legislation has been given the fast-track treatment with a referral only to the Senate Judiciary Committee. That committee is chaired by Sen. Shelley Hughes, R-Palmer, who’s been one of the leading critics of the new law, even going as far as handing of crime bills to the Senate State Affairs Committee because some of the provisions may have dealt with patients her husband, a physician, might see. The legislation has already been scheduled for two hearings next week at 1:30 p.m. on both Monday and Wednesday. A public hearing on the bill is scheduled for Monday’s hearing. 1 Comment on "Instead of fixing legislative conflict of interest rule, Senate proposes repealing it"
When two or three legislators who worked for the Big Oil companies, and under the Parnell Admin. voted in the multi-million dollar subsidies to the oil companies, I knew there was no conflict of interest applied in Alaska. Might as well repeal the thing, making it official. Advise all legislators to grab what they can for their sponsors/benefactors/contributors. Maybe the fad of making and enforcing just legislation will return…Like the Lone Ranger – he will ride again… Meantime we are $B in the hole and subsidizing oil corporate welfare with a 4% tax.